A recently acquired copy of the first issue of the newsletter of the American Legion Sub-Chaser Post - No. 601 is added this month to the "Miscellaneous" category under Documents. It features Alexander Moffat addressing the chaser men, and encouraging them to get involved in the new American Legion post, and to come to a celebratory dinner in New York. Moffat, you may recall, was the colorful CO of subchaser SC 143, and later the author of Maverick Navy, describing his tour of duty. Especially interesting are the short bios of the new officers, on page 2, and the little anecdotes of life on the chasers. 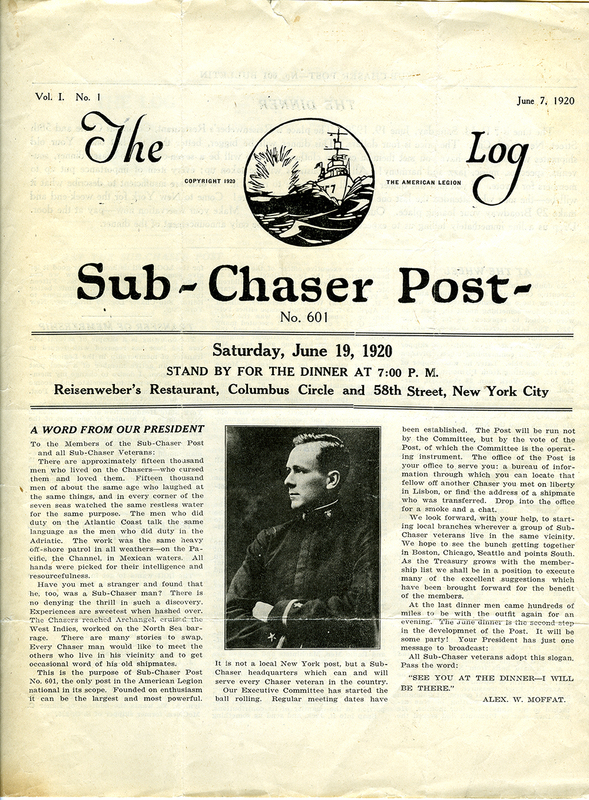 Added this month is the first issue of The Log - Sub-Chaser Post - No. 601. 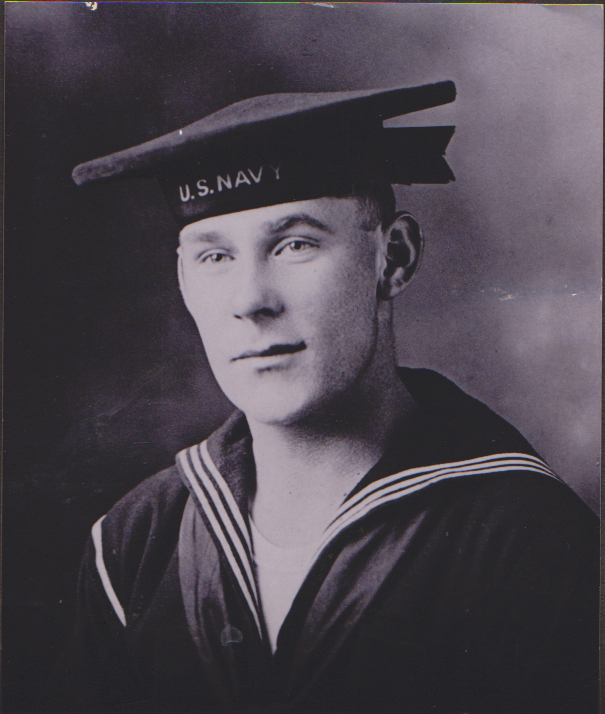 This newsletter of the new American Legion post for sub chaser crewmen was published in 1920, and at least into the end of 1921. I hope to post more issues, over time. Also added this month are several crew photos from SC 126, courtesy of Marlene Hayes, daughter of crewman Elmer Henry Frohn.